Regular readers know that I really like the music of R&P. And by “like” I refer to having seen them live multiple times in concert in Toronto in the late ’80s and early ’90s, owning all their available albums, operating the Official R&P Merchandise Shop and Official R&P Facebook page under license, redesigning the Official R&P Website and Music Store for Ron and publishing 1 Out Of 10 Therapists: The Poetry of Romanovsky & Phillips Lyrics to mark the 30th anniversary of their first public (musical) performance. Just another dedicated fanboy. 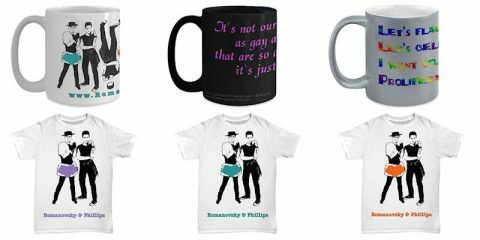 In this post I’m going to highlight a few items that would make great queer festivus gifts. The R&P portraits, in your choice of 3 accent colors, is available on t-shirts, tank tops and sweat tops at the Official R&P Shoppe at GearBubble. The Gearbubble Shop also has mugs with the retro portraits, and select lyrics. 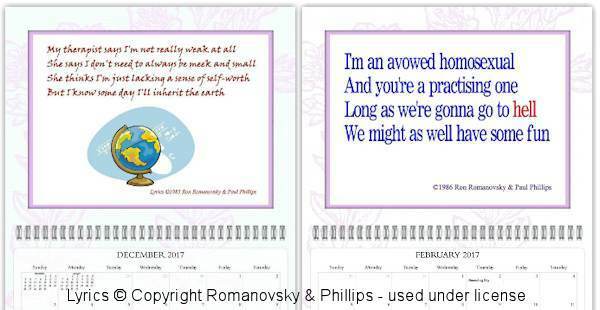 Featuring the timeless lyrics of Romanovsky & Phillips: romance, relationships, growth and self-acceptance, living with aids, and the polka are just some of their themes. 2019 will mark the 37th anniversary of their initial public performance at San Francisco’s Valencia Rose Cafe as the musical break for Gay Comedy Open Mic Night. We published 1 Out Of 10 Therapists to mark the 30th anniversary of their first public (musical) performance. The title of this volume comes from their Official Tour t-shirts sold at concerts. The text (1 out of 10 therapists recommend Romanovsky & Phillips to their patients who listen to music) and teal, purple & orange colors reflected the spirit of hope and fun that R&P brought to their concerts. The volume includes 44 selections from 1977 to 2007. 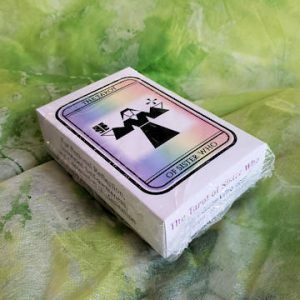 “Romanovsky and Phillips came flying across the gender spectrum in brave form. Queer, feminist, outrageous, funny, tender. Congratulations on 30 years of daring work. All six Romanovsky & Phillips titles, as well as Ron’s seven solo releases are available at the Official Website Music Store. Ron offers an incredible package price on the complete collection. 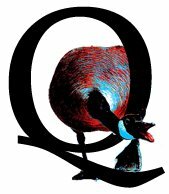 More posts about Romanovsky & Phillips. Ron Romanovsky earns a fee for all items; and richly deserves every penny.